Balancing family and fitness doesn’t have to be hard. In fact, it has never been easier. Balancing the two is all about getting into a routine that works for you. Right now you probably have a ton of unhealthy habits that you are trying to break. That’s great, but if you’re not able to integrate your solutions into your routine then this will only cause you major problems for the future and this is the last thing that you need. 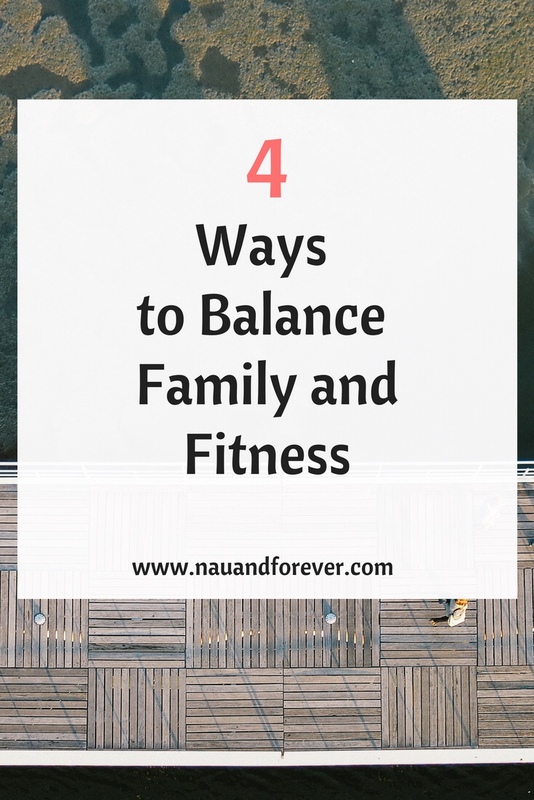 Check out 4 tips to balance family and fitness! The best way for you to make sure that you stick to your new healthy lifestyle is to plan ahead. Things probably get hectic at various points of the week and this can really cause chaos for your schedule. After all, you may find that you forget about your child’s pediatric dentist appointment and you may even forget about soccer practice as well. Little things like this can really disrupt your rhythm and they can lead you to breaking your routine. If you know what you have going on later in the week then try and get a calendar so that you can organise everything. When you do this, you can easily prep your meals and you can also plan out how much food you need to cook as well. Planning out your week also gives you the dates that you need to work out, and how to fit other activities in-between. Every week is different at the end of the day, and by having a calendar, you can be sure to really make the best decisions. if you are thinking about getting healthy but you know that both you and your family just don’t have time to do it then think again. Write down all of the activities that you do right now, that are unhealthy. Such as watching TV every single day, smoking and even takeaways. If you have time for these then you have time to replace them with healthier habits. Try and get out of bed easier as well as this will help you to have more time in the day. You will also want to get rid of any processed foods that you have as well. if you know that you have to eat tons of fast food because of work then prepare some meals and take them with you, as this will help you to really make the most out of your time and it will also help you to put an end to those bad habits once and for all. The more you can get your family involved, the better. If you have kids then you will know how much they like to get their hands dirty and the kitchen is a great way for you to do this productively. Sample things, try out the grill and even bake some healthy snacks. When you do this, your kids will be much more likely to try new things and they will also be much more willing to participate in meal prep as well and this can make all the difference to your lifestyle. After all, not only does it mean that they are not causing chaos in the other room, because it means that you have the help and support you need to get the job done faster as well! If you train at the gym every single morning then this is great, but the kids may get bored entertaining themselves or they may even find that they get frustrated. If this sounds like the case, skip the gym and go on a family bike ride instead. You may also want to try and take a walk or even work out in the driveway while they play around with their toys. You can even try and get the kids involved as well and a great way for you to do this would be for you to draw a hopscotch, play jump rope or any other fun activities. Little things like this can really make it fun for your kids and you can do this until you are able to get back into your normal routine. By being aware of when you need to make a change, you can then be sure to make the most out of your time and you can also stay on top of the exercises you need to do and even the meals that you need to prepare as well. After all, being aware is the key to staying on schedule. It’s totally possible to balance Family and Fitness. Sometimes it just takes some preparation and creativity but you will all be better off! If you are interested in staying healthy and keeping in shape, it is important that you keep an eye on the latest medical health advances in the scientific world. Science is constantly providing exciting new developments on how to stay fit and healthy for far longer, keeping your body in check. You might have missed some of the latest advances so let’s take a look at these and figure out whether or not they could be relevant or beneficial to you. This one is fresh off the press and was actually only revealed this month. According to a recent study, dairy could be good for you. We’ve always been told that dairy is a dangerous food because it contains high levels of saturated fat. This has been linked to deaths through everything from cancer to heart disease. Recent evidence now suggests however that issues like this can be avoided by consuming cheese. This research was a meta-study that compiled other research to look for relationships and correlations which were discovered. Despite the significance of this study, you might not want to go munch on too much extra dairy just yet. Metadata studies are known for being unreliable and what you should or shouldn’t eat changes according to science on a daily basis. Klotho is a naturally developing protein in the human body that was first discovered in the 90’s. However, now it’s being used by companies like Klotho Therapeutics owned by Jim Plante. These businesses are exploring how this protein can be used to help fight the common issues of age including kidney disease. This isn’t the only company that is looking at Klotho, but they are making fantastic strides in research that could help shape the future of treatment of illnesses like this. One of the main physical issues that you definitely need to be aware of and potentially concerned about is dementia. Dementia will affect one in fourteen people by the time they reach sixty-five. You may have heard that there is no a drug that can stop dementia from developing. This is true. However, it’s important to realize that it hasn’t reached human trials yet. This means that it will be a while before it enters the market. As well as this the medicine will not be effective on the people who already have developed this medical condition. However, this is still a promising development and brings new hope for the future. Finally, there has now been a development in breast cancer research. Breast cancer is one of the most common forms of the disease in women, particularly around middle age. As such, you need to make sure that you are aware of the latest developments and treatments. The best prognosis still results from catching the disease early. However, studies now show certain cancers do prevent their spread themselves which is a startling discovery. It is sure to shape treatment for this condition in the future. 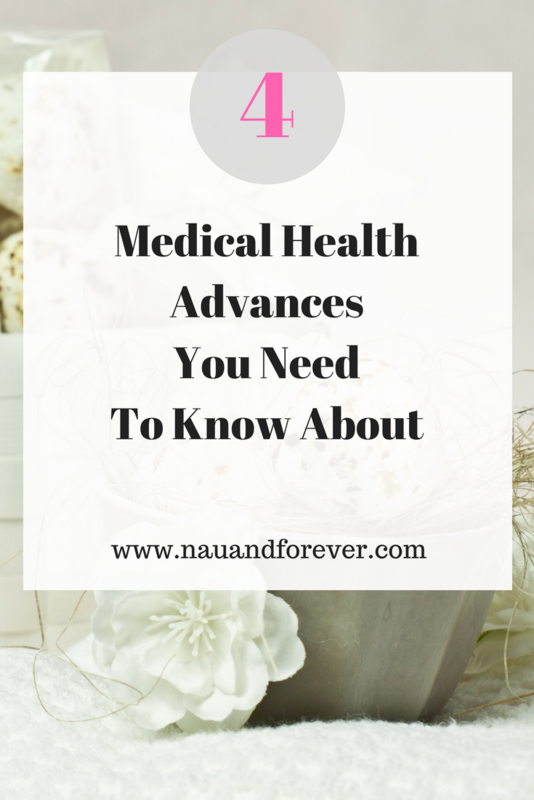 Staying up to date with medical health advances like this will provide you the information you want on how to stay healthy and offers hope for aging gracefully. If you want to tips on improving your health, check out these ways to boost your health now. If you are looking for some more natural methods of staying healthy and happy for the longevity of your life, one of the things you can think about bringing into your routine is essential oils. There are a massive array of essential oils in the world which can be used for a number of uses, and you can benefit from each and every one in a unique way. Here are some of the oils you can bring into your life this year. 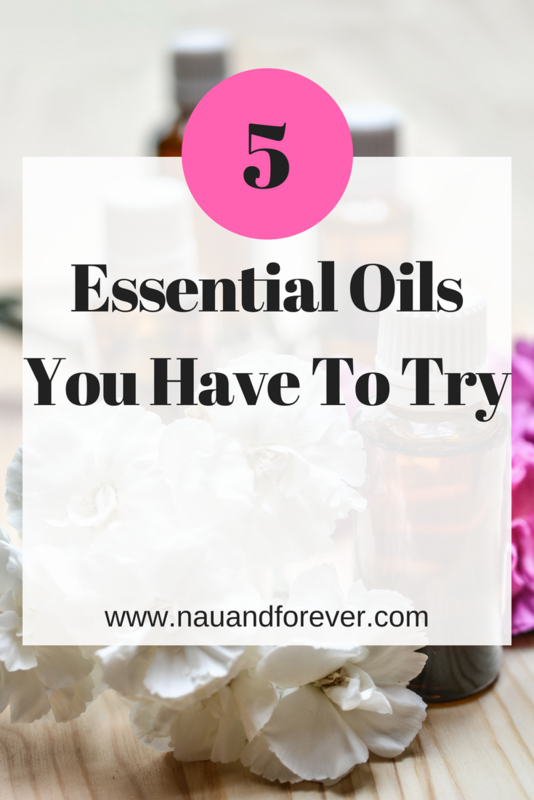 These essential oils you have to try can have a great impact on your life as a whole. The first oil we are going to mention is lavender oil. This is by far my favorite and a great first oil. If you have a hard time relaxing in the evenings and sleeping through the night, this essential oil can be a really wonderful one to add into your routine. The smell of lavender is calming and the chemicals in the oil help us to feel more relaxed and sleepy. You can use a reed diffuser in your bedroom to spread the scent, or you can even massage some oil into your temples before bed to calm the body and mind. This next one is a little controversial in some circles, but CBD Oil such as from hempliving.co.uk can be used in a medicinal way just as much as it can be used as a recreational drug. CBD Oil has many health benefits which have been proven such as alleviating stress and symptoms of MS, treating cancer and shrinking tumors, and also reducing anxiety and depression. For an all-around great oil for your medicine cabinet, there really is no better choice than this. Tea tree oil is an essential oil that has many benefits for the body. It’s especially useful when mixed with a carrier oil such as sweet almond oil. Tea tree oil has antibacterial properties. It can be the ideal choice for an acne treatment. It can also be used on the scalp to keep hair shiny and healthy. It’s a great natural beauty product which will definitely become a favorite in your home. Grapefruits are a citrus fruit which can sometimes be a little bit of an acquired taste, however, it is a fruit which has many different benefits to our health and can be just as important in our diet and lemon. Grapefruit oil is ideal for people who suffer from IBS or inflammation in the body because the chemicals it contains can aid digestion and reduce swelling throughout our body. It’s an oil that’s a definite must in your kitchen. It can be incredible for your happiness and quality of life. If you have ever had a cold and used some Olbas oil for your congestion, you will have experienced the healing power of eucalyptus first hand. That fresh cool smell opens up your nasal passages and the chest is eucalyptus. It can be essential for people with asthma and respiratory issues. Have a cold? Get a bowl of boiling water with a few drops of eucalyptus oil and steam your face for 10 minutes. It’ll do your chest and nose wonders. When you’re looking for more natural healing treatments, you don’t want to neglect oils. There are so many benefits to them. What other oils are on your list of “essential oils you have to try”? Want more tips on healthy living? 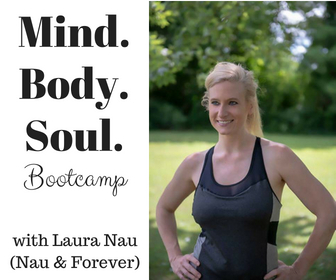 Be sure to check out this post about staying motivated on your health journey. You can up your man’s style, but still be true to his love of jeans. It’s not only about your man’s style, but also how they look next to you. (Let’s be honest.) In case you are fed up with them wearing jeans for all occasions, you should help them make the most out of their accessories and combinations. Check out a few tips on how to improve your man’s style! If your man usually turns up looking too plain even if you are wearing your latest dress, you might want to help them spruce up their looks and get them some accessories. Adding a couple John Henric ties for men can add color to their dull style. Make sure that they learn how to accessorize for every occasion. In case it’s impossible to get your man out of their jeans, you might want to make the most out of this casual wardrobe item. What about denim on denim or a great belt? You will definitely have a hard time to get them to part with their favorite jeans, so chances are that you will have to try some smart ways of making the most out of their current personal style. Men often find it hard to find the right balance between smart and casual. You will not have to transform them from being a lad into wearing executive suites. Instead, you should make sure that they are adding some smart features. A V-neck jumper with a tie can improve the style and looks of any man. A leather shoe combined with a jacket and black jeans can be just as stylish as a formal suit with the vest and smart shirt. It is important that you help your man find the right colors that suit their complexion and style. Men and colors are not the best friends most of the time, and your other half’s wardrobe might need a woman’s touch. You should, however, start small, and avoid introducing big changes and bold colors. Try a bit of dark red or brown, green combined with their favorite medium gray, and give them time to get used to more color in their lives before you go for something bolder. If you would like to help your man look better next to you and every day, it is crucial that you look through their existing wardrobe items and support them in creating the perfect smart casual outfit for days out, dates, and work. Every man would benefit from a woman’s advice when it comes to outfits, but not all of them are ready to accept help. 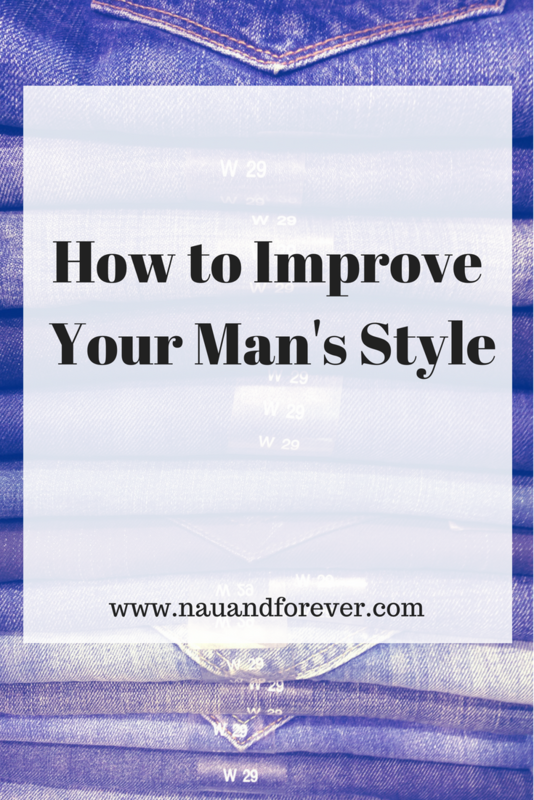 Follow these easy tips to improve your man’s style! If you love fashion, check out my favorite women’s clothes! 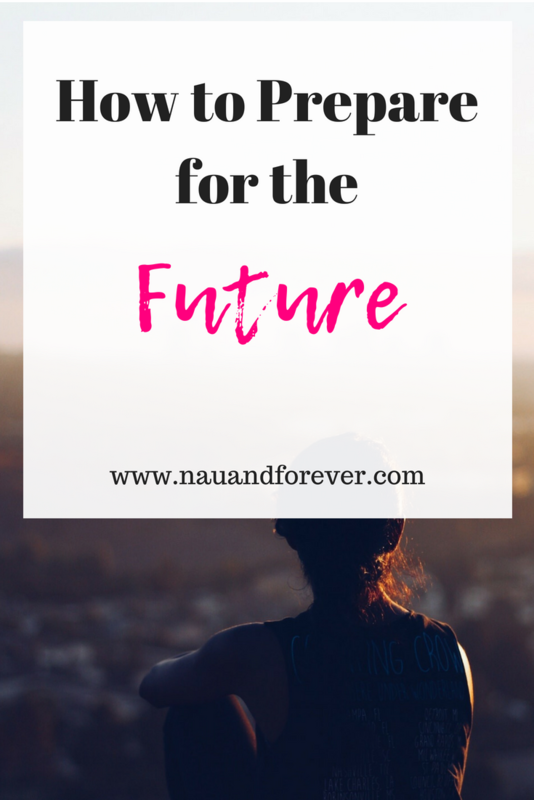 When you are young, with your whole life ahead of you, the future can feel like a far-off thing. Having children, getting married, buying a house, building your career, retiring and eventually and inevitably passing on to the next thing all feel like the kind of things that happen to other people. However, you need to prepare for the future. While you don’t need to prepare absolutely everything, you should leave yourself open to the possibility of change and excitement. Preparing for the inevitability of life is something you should do when you are young. Then you can re-evaluate a few times over the years. Even if you don’t have any assets or money to divide, making a will is an important step as it means that you can stipulate what should happen under circumstances where you aren’t capable of making a decision. For example, should you be diagnosed with a terminal illness, you might want to go to a hospice for palliative care rather than stay at home. You might think that you don’t need a will. However, getting married or having children are certain signs that you need to make some legal decisions. Once you have children, you will need to designate custody in the event of your death and you will need to work out inheritance too. Sounds daunting, doesn’t it? But remember, you only need to prepare this once to know that you have a plan. Your financial future is incredibly important and however tempting it is to live in the moment, creating an emergency fund and organizing your pension plan is something you should do as soon as possible. Old age has a habit of sneaking up on you. The younger you are when you start saving the more money you can accrue over time, building your nest egg. But arranging your finances should also include plans for owning your own property, ensuring your own financial stability and creating goals so that you can fulfill your ambitions. Again, this might sound daunting but all it really means is that you know how much to set aside each month and what you want to spend your money on. So, if your great ambition is to travel the world, start saving! You need to know what you want. Where do you want to live? Do you want to move after retirement? What if you’re unable to care for yourself at home? Giving yourself an idea of a direction and then beginning to plan for it is a great way to figure out what you want and really stand a chance of getting it. Living an enriched life should be a high priority. It’s important to prepare for the future. When you do, it’s much easier to enjoy living in the moment. Knowing that you have a financial backup and a written will, a weight will be lifted knowing you don’t need to think about it again. When you’re preparing for your future, it’s also important to take care of your health. Check out three ways to improve your health. I could go on and on about the risks that unhealthy lifestyle choices and habits can have on you. Your wellbeing, your happiness, and your ability to do what you want can all be dictated by the choices you make or avoid making every day. However, your health can have an impact that’s even easier to measure. 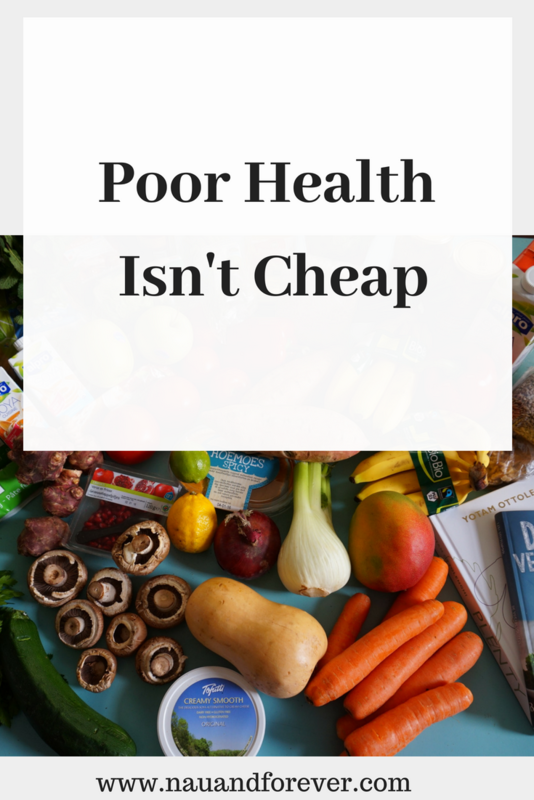 Poor health isn’t cheap! If hitting your life expectancy isn’t enough, here are some ways it can hit your wallet, too. Let’s get the obvious out of the way first. Every time you have to go to the doctor, get prescribed medication, or undergo treatment, it’s going to cost you. That doesn’t mean you should avoid getting yourself checked out. However, you could have a lot more of an influence over the costs of your healthcare than you imagine. If you’re on insurance, make sure you’re sticking with in-network providers. Avoid unnecessary treatments by asking why a doctor is prescribing so-and-so. See if the generic medication is just as effective and safe as any of the branded alternatives to keep drug costs down. Becoming a much savvier consumer helps in the medical world just as it helps with all other industries. Blaming people for chronic health issues isn’t kind or fair. However, there serious concerns that a great proportion of chronic cases are preventable. The CDC has released stats that changing three bad habits (lack of exercise, bad diet, smoking) would prevent 80% of heart attacks and 80% of type 2 diabetes. All of us should be taking the health measures that could stop us from being diagnosed with a chronic condition and the lifelong costs of medication and treatment that can come with it. Make sure to get your annual physical as well. You may be able to catch the early signs of chronic illness and make the changes that could pull you back from the brink. When talking about those same habits, we should look at an even more direct way that they affect your finances: the costs of the habits themselves. There are lots of quit smoking calculators on the internet that can show you the exact figures (or a great estimate) on how much you would save every year if you didn’t smoke, for instance. Unhealthy junk food is regularly considered “cheap”, but it has been shown time and time again that you can save money by planning your meals more thoroughly with a slim supply of healthy ingredients. Let’s not forget how much it costs to support overconsumption of coffee or alcohol. Without moderation, everything can be harmful, and everything can be costly. There will be health concerns that are no fault of your own, including accidents and injuries. These can have long-reaching effects on your finances, especially if they take you out of work. Filing a personal injury claim if it isn’t your fault can help you recover all of the costs. But having more savings to help cope with some of the costs in the interim can be just as important. Taking care of your health won’t just save you money. It can also give you a little more freedom to build up your savings so that you have some extra protection if you’re taken to the hospital by something you couldn’t have expected or prevented. This is where we get a little more abstract, but the studies are clear on this. Bad health habits, such as inactivity and poor diet, may be causing you to underperform in your career. Nutrition plays a big role in mental health, and exercise is well known to boost your motivation in all parts of your life, not just at the gym. Better health habits give you more energy, too. All of this combined, you could be a lot more engaged, a lot more motivated, and a lot more productive in your career. Bad habits could play some role in keeping you back from reaching the heights that you’re supposed to. You could really be missing the potential you should be unlocking. Emotional health should be a serious concern, as well. Chronic levels of stress are getting more common and, just because it’s not always linked to diet and exercise doesn’t mean it’s not worth talking about. Those issues certainly can play a role, but so can sleep, stressful situations, financial distress, and the like. However, there are clear indications that stress can get in the way of our ability to make decisions with our best judgment. We are more prone to taking risks, and more likely to miss important details because of our distracted mindset. If you’re making risky decisions regarding your finances, then it’s obvious how it can cost you in the long-run. If you want to make sure you can get treatment, you are most likely going to need health insurance. As mentioned, the costs of health care and the associated insurance are not low. But bad health habits can drive them up even higher. Most insurance providers will need a lot of information about you, including health habits and your weight. Even life insurance can cost you more if you have bad health habits. It might not seem fair or just, but insurance providers will charge you more if they see you as more of a risk. You might be able to find insurance providers who don’t use those criteria, but you will have more luck lowering your costs by addressing what health concerns you can. You can and shouldn’t blame yourself for everything that goes wrong with your health. If it’s an accident, down to genetics, or because of addictions, blaming yourself does you no good. However, by taking responsibility for your habits, you can at least ensure that your costs aren’t going to be bloated by expenses that could have prevented. Poor health isn’t cheap so make sure that you make your health a priority! Looking for tips on improving your health? Check out these healthy choices for a happy life. When you’re a woman with ambition, you owe it to yourself to go after it. But what happens when you’re not all that confident? If you’re someone that often doubts yourself, or that isn’t all that sure that you can do it – you’re not alone. It can be so normal for women to feel unconfident in their abilities. But, men always seem to have the confidence to go after what they want – so why can’t we? Surely there’s going to be something inside of you just waiting to take over and get you to where you want to be? Or, it can be learned – at the very least! 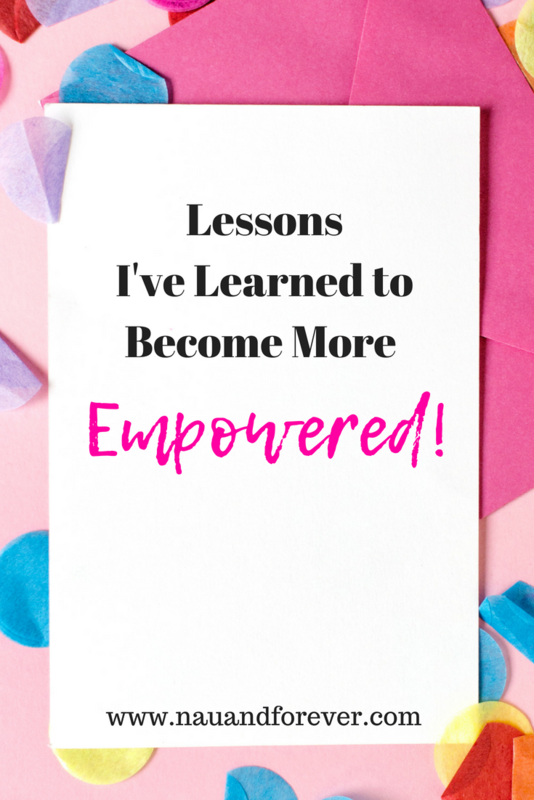 If you know that you want to create a business or a career that you have always dreamt of, don’t let a lack of confidence be the reason that you don’t pursue it. 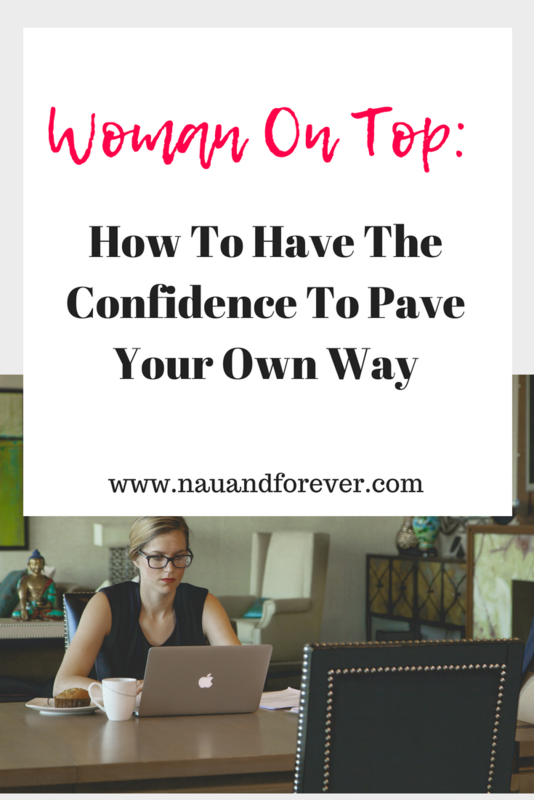 So let’s take a look at how you can build the confidence to pave your own way. The very first thing you need to do is believe in yourself. Stop listening to the negative thoughts in your mind. Instead, replace them with positive ones. Start to tell yourself that you can do this and that you already have the confidence that you need. Because if you can’t believe in yourself, who else will? Know that you’ve got this, and start to believe you can do it. Next, you need to make sure that you’re incredibly confident in your own abilities. And this is so important for you to be able to get what you want financially. We all know that equal pay is an issue. So when it comes to building a business, you need to set your rates and believe that you’re worth them. Don’t underprice your abilities or be bullied into taking less. You’ve got this. The next thing to do is to make sure that you are putting yourself out there and asking for opportunities. Never wait for them to come to you (as you may be waiting a long time). Instead, get your trade show booth, like on this page, and attend events, set up networking meetings, ask advice from women you respect, and just put yourself out there. The more you want the business, the more it will come to you. Then, you’re going to want to start creating demand for what you’re offering. Think about how you can really drive your target audience towards your product so that it’s something that they adore. This can be a lot of fun for you, but you will need to put the time in to make it work. Now, this may seem like it’s all about the exact opposite of being confident. But having patience is hugely important when it comes to getting what you want. When you have huge aspirations, and you know where you have to be, you need to be patient and wait for it to come to you. As long as you’re putting the work in, you’re proving your worth, and you know you can make it happen, it will come for you. But you have to be patient. Because skill and success always show up! Being ambitious and following your dreams is so empowering! Sometimes when you’re busy trying to pave your own way, you forget to take care of yourself. Be sure that you are adding self-care into your routine so you can be at your best. 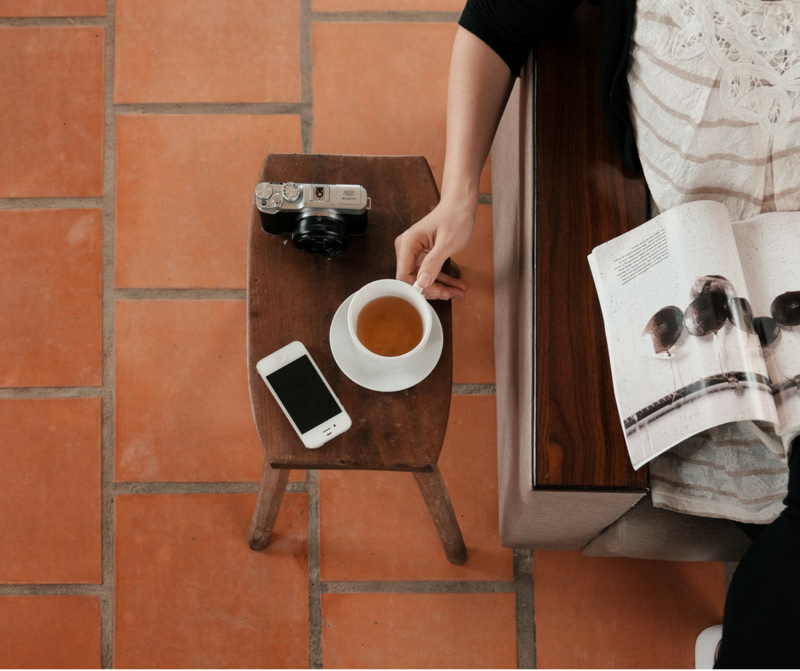 Check out my FREE self-care ebook to jumpstart your self-care! If you have a passion for food and drink, a flair in the kitchen and a love of providing quality sustenance for your friends and family, catering a big family event often seems like the right choice. There’s a celebration – such as a wedding or a birthday party – to be held for someone you care about. Food and drink will be required. You have wonderful cooking skills, so what could be simpler than choosing to cater the event yourself? Such a decision seems like a perfect combination of being able to utilize your genuine talent and save a little cash on the organizing costs. However, this may not be the straightforward idea that you believe it to be. While there is no doubting your culinary skills, there are three reasons that you may want to follow in the footsteps of the vast majority of other accomplished home cooks and choose a professional caterer for your special event instead. Read on to find out more. There’s a big difference between being able to create a sit-down meal for your family and actually catering a full event. While the concept may seem basic – you just do the same as normal, only more of it – it is actually incredibly complex, and can lead to frustration as you are simply unable to focus on each dish as you would hope. Catering on a large scale is quite unlike home cooking; it’s more complex, more time-consuming, and there is less room for personalization and innovation. If you take the time to check out new banquet and catering menus for onsite and offsite catering, you will see a huge range of choice is available, which ensures there is a suitable option for every occasion. Many amateur chefs have their own special dishes that they have refined to perfection; this is wonderful, but can lead to limitations if you’re trying to cater to a larger group. Opting for a professional caterer ensures that you are able to explore a diversity of foods that no home-chef would be able to match, which allows for the event to feel special and different. 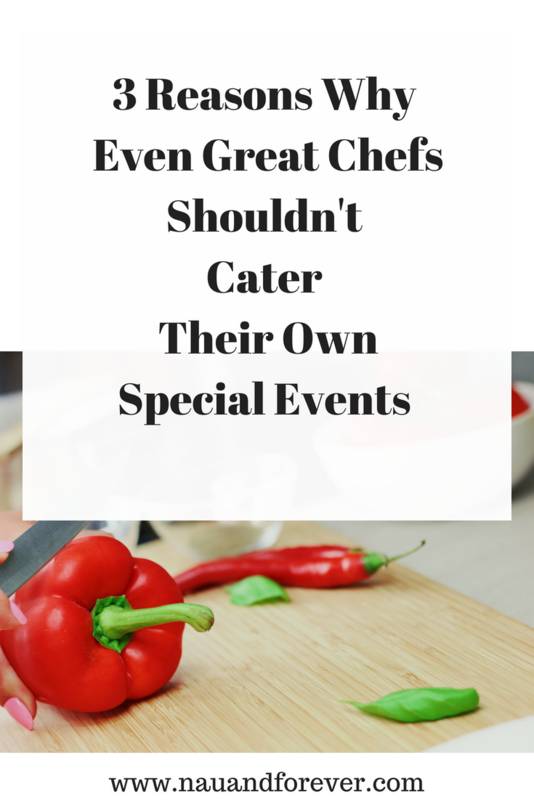 If you choose to cater a special event yourself, you’ll find that your enjoyment of that event is greatly diminished. You’ll spend the night running from place to place. This means that you won’t get to enjoy the celebration. You won’t be able to share the moment with them. Professional caterers will take all of this stress and need for constant food-related attention onto themselves, so you can relax and enjoy the evening unencumbered by managing the catering process. Is there a big event on the horizon? Offering to act as the caterer for the day may seem like the natural step, but reconsider. Leave big events for the professionals. Then you can be free to enjoy the event without the stresses of having to be the designated cook. 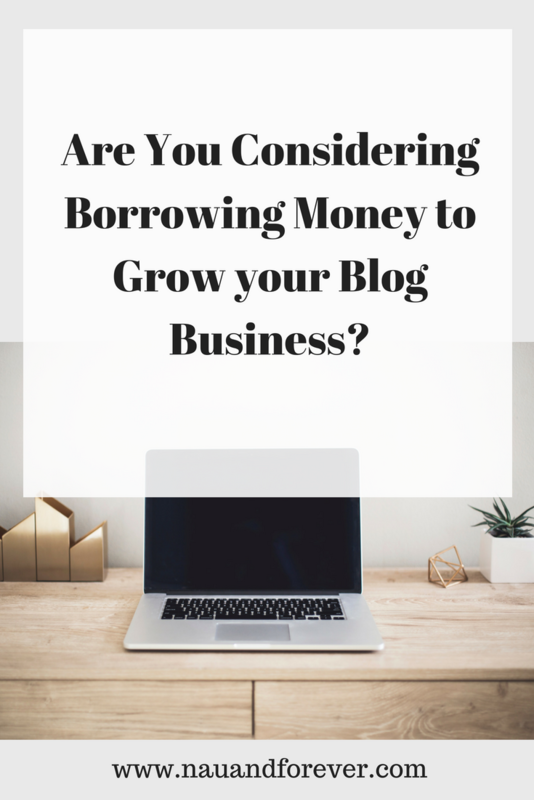 Are you thinking about taking out a loan to take your blogging business to the next level? This is something that a lot of bloggers consider in order to take advantage of certain opportunities and expand their blog. For example, some bloggers want to start selling merchandise, so they look to a small business loan in order to proceed. If this is something you are considering, read on to discover some of the common mistakes people make that you need to avoid. There is only one place to begin, and this is with failing to read every term and condition. The last thing you want is for hidden expenses to come to bite you because you have not read each and every condition. When you are offered more money than you need, it can be very tempting to take it. However, this means you will end up paying more back, and you will end up spending unnecessarily too. Head to https://www.money.co.uk/loans/4-ways-to-borrow-a-small-amount-of-money.htm for some great advice on the different options that are available to you in terms of borrowing a small amount of money. There are so many different loans available today. It’s not hard to see why it is rather confusing. However, the last thing you want to do is choose a loan that is not right for you. For example, you could end up choosing a loan that is secured against your house, meaning everything you own is tied into one agreement, which isn’t usually ideal. Head to https://smallbusinessloans.co/ for more information about the different types of loans that are available for small business owners. No matter how much money you are going to be borrowing, you need to make sure that the payment schedule is something that fits within your budget. If you miss a payment or you cannot afford your loan repayments overall, this will have a negative impact on your credit rating, so you really should not take any risks in this regard. Finally, of course, it can be very tempting to borrow money from friends and family. If you do this, it is unlikely you will have to pay interest fees. Plus you know any inability to make the payment will not result in red flags on your credit score. However, going down this path can be a very dangerous one. Many relationships have been ruined because of money. There is a lot to consider when taking out a loan for your blogging business or borrowing money from loved ones. Make sure you avoid these blunders to ensure everything goes smoothly. Be sure to check out my Resources page to stay up to date on all my favorite tools and services for bloggers!